This system comes straight from the Doce Pares International Headquarters based in Cebu, Philippines. We specialise in single and double, long and short weapons. 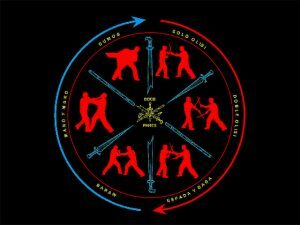 We also specialise in knife defense and empty hand combat. 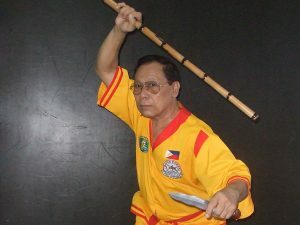 We use the 5-year curriculum of Supreme Grandmaster Dionisio Canete (ODL). 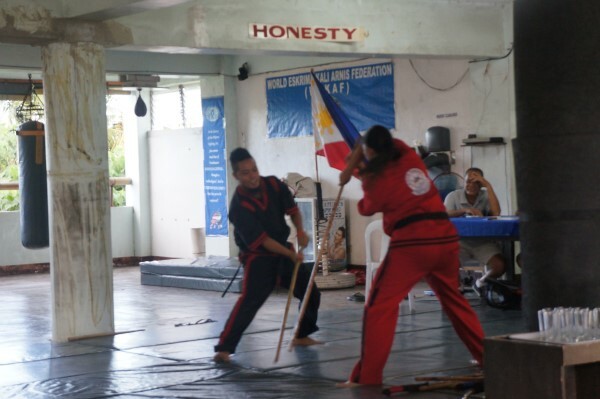 Eskrima, also known as Arnis or Kali, is an indigeneous Filipino Martial Art which utilises weapons such as sticks (single and double), knife/daggers, espada y daga (sword and dagger), bangkaw (staff/spear), mano-mano (empty hands: kicking and punching, locks and immobilization, takedown and grappling) – the Filipino way. It is a complete system by itself. Doce Pares is an assemblage of various styles. Styles that were brought and introduced into the organisation by the founding masters in 1932. To the credit of the leaders of the organisation, these diverse and often contrasting styles and skills were all successfully integrated and passed on to the next generation of Doce Pares adherents. All Doce Pares International schools can readily be identified through the seal and logo which bear the original sign of Doce Pares but more significant is their 5-year “multi-style” programme of instruction. 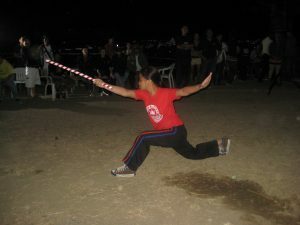 Only through the Doce Pares International schools can one learn all the original styles of the founding Masters of Doce Pares. "Doce Pares Multi Style System"
For many years and even up to the present people are still confused about the real Doce Pares system. 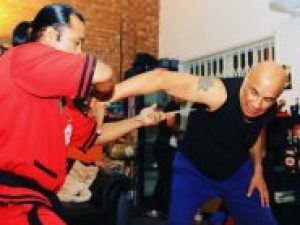 This is only understandable because while the system is a conglomeration of various styles as introduced by the founding masters in 1932, there are many instructors and masters today who only teach a specific style of any one of the original masters. 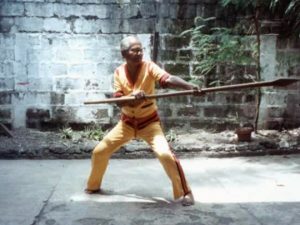 All the founding masters had their own set of followers and the students who chose not to study and cross-train in other styles naturally learned only the particular style of his own teacher. 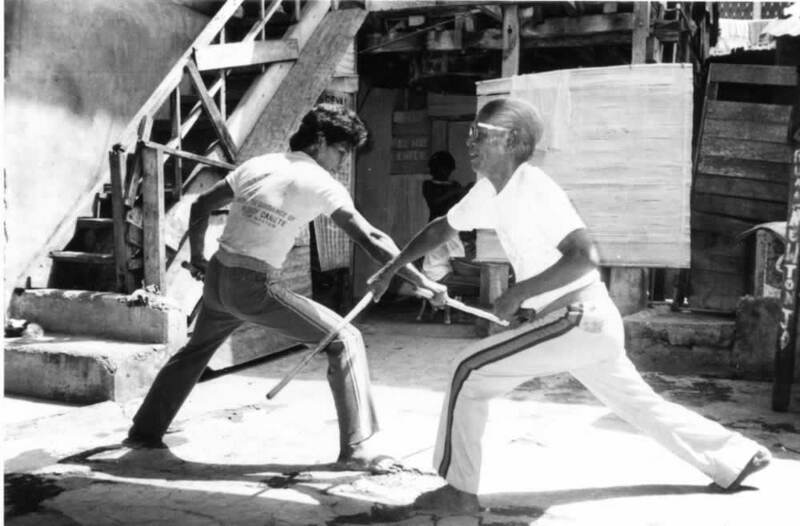 Doce Pares was a virtual supermarket of Eskrima styles, hence, there’s the Larga Mano of Eulogio Cañete; the Espada y Daga of Felimon Cañete and Jesus Cui; the Corto Linear of Teodoro Saavedra and later on of Venancio Bacon, Delfin Lopez and Timoteo Maranga; the Corto Orihinal and Media Largo of Felimon and Iluminado Cañete; the Hirada and Retirada of Vicente Carin and Ponciano Ybañez; the Mano-Mano and Baraw of Maximo Cañete and Jesus Cui; the Corto Kurbada and Abaniko of Ciriaco and Felimon Cañete respectively. 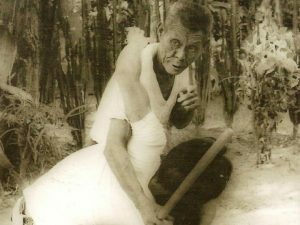 Thus there are many masters today who only teach and promote one particular style and yet can validly claim to belong to Doce Pares family. It was in early 1970 when Diony was commissioned by his father Eulogio Cañete, the President of Doce Pares to study, prepare and formulate a program of instruction that would cover and comprehend all the component styles. 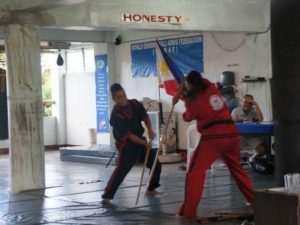 The specific objective was to come up with a training curriculum that would give equal treatment and prominence to all the original styles and by all means to afford due honors and recognition to all the founding advocates. 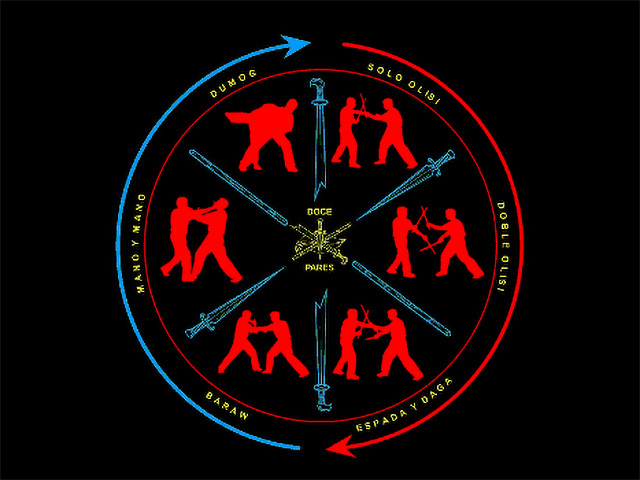 Hence the birth of the “Multi-Style” system which very much set well with Grandmaster Diony as he and his three elder brothers were among the very few who were fortunate to have learned all the original styles as brought into and introduced by the founding masters whenDoce Pares was formed in 1932. 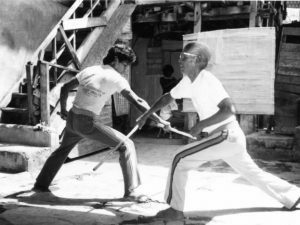 "Components of the Multi Style System"
Doce Pares was founded on January 11,1932 by a small group of Eskrima Masters spearheaded by Eulogio Cañete, Lorenzo Saavedra and Teodoro Saavedra. 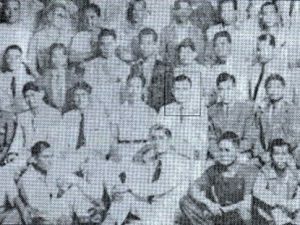 Twelve of them originally conceptualised it but shortly after its inauguration on January 21 that year, the membership rose to twenty four. Eulogio Cañete and Teodoro Saavedra were elected as President and Vice President respectively. Other elected officers and original members were, Fortunato Peñalosa (secretary), Marcelo Verano, Deogracias Nadela, Strong Tupas, Rodolfo Quijano, Pio Deiparine, Florentino Cañete, Felimon Cañete, Juanito Lauron, Federico Saavedra, Cecilio Dela Victoria, Lorenzo Saavedra, Margarito Revilles and Anastacio Deiparine. The name Doce Pares was adopted in reference to the famous twelve bodyguards of Emperor Charlemagne of France (AD 768-814). These twelve people – all top swordsmen – were known to have fought and killed hundreds of enemies in battles. 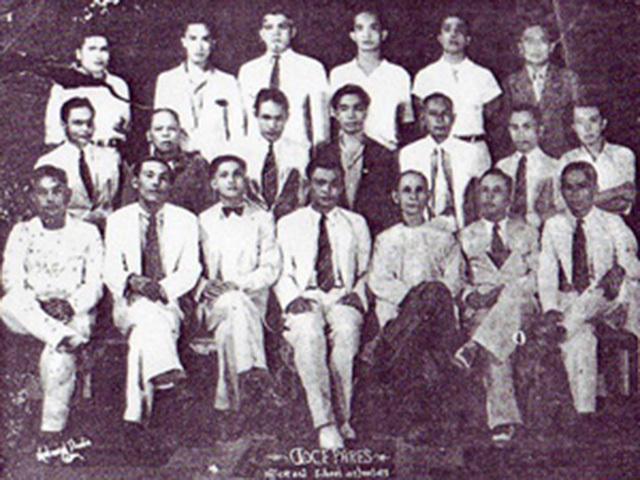 Doce Pares, which means “twelve pairs” in Spanish, was also meant to honor the twelve people who originally planned to form the organisation. And when the membership rose to twenty-four at the time of the inauguration, it indeed became more significantly fitting. Subsequently, the organisation became Doce Pares, Incorporated when it was registered as non-stock, non-profit corporation with the Securities and Exchange Commission which issued certificate of registration no. 1373.